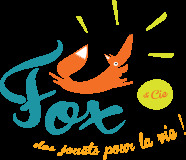 Fox & Cie is also the must-see toy store in Charleroi for all your wishes involving children’s games and toys..
Our Charleroi toy shop offers you an exceptional range of toys, for all the milestones in the lives of babies and children, that will meet all of your expectations. Profoundly convinced of the importance and the positive impact of games on the proper development of the child, Fox & Cie offers the best toys for awakening, board games, games of imagination, costumes, wooden games, figurines and buildings, outdoor games, and a selection of books, as well as a range of childcare articles for children at a very young age. Always available and at your service, our team welcomes you from Monday to Saturday with a smile and a warm atmosphere at our toy shop in Charleroi. We provide advice on the toys and games that suit best your request and that respect the age-related recommendations. Out of concern over the safety of your child, all toys and offerings are certified and meet current standards. For more information, feel free to contact us by phone or visit us directly in our toy store in Charleroi: Fox & Cie.